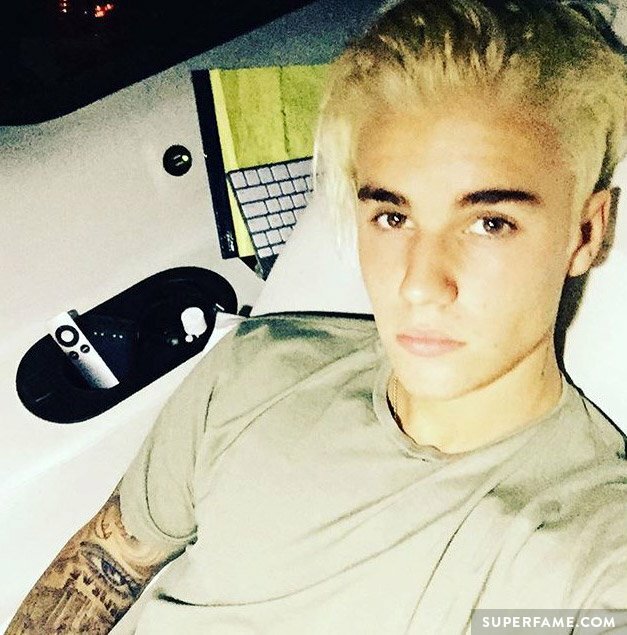 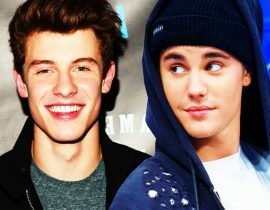 Justin Bieber and Shawn Mendes just took one step towards an all-Canadian collab with their latest Twitter love-in. 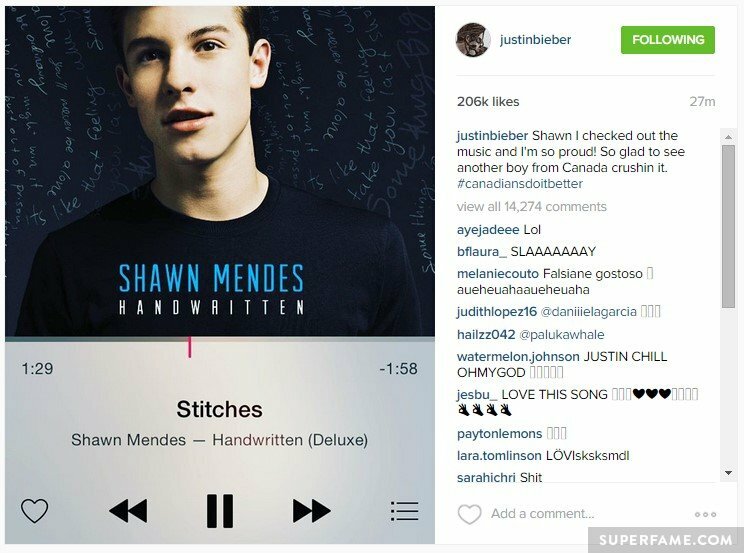 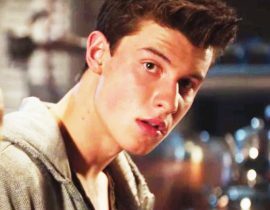 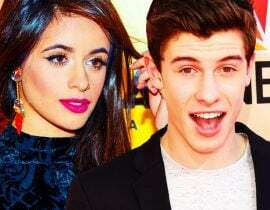 Justin previously claimed that he had no idea Shawn Mendes existed, despite evidence to the contrary. 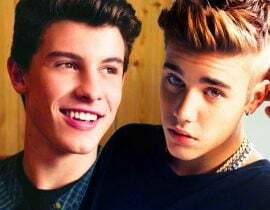 Shawn Mendes then said that Justin probably knew who he was and jokingly asked if Justin hated him. 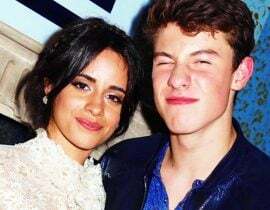 But wonder no more, as the pair have put the situation behind them. 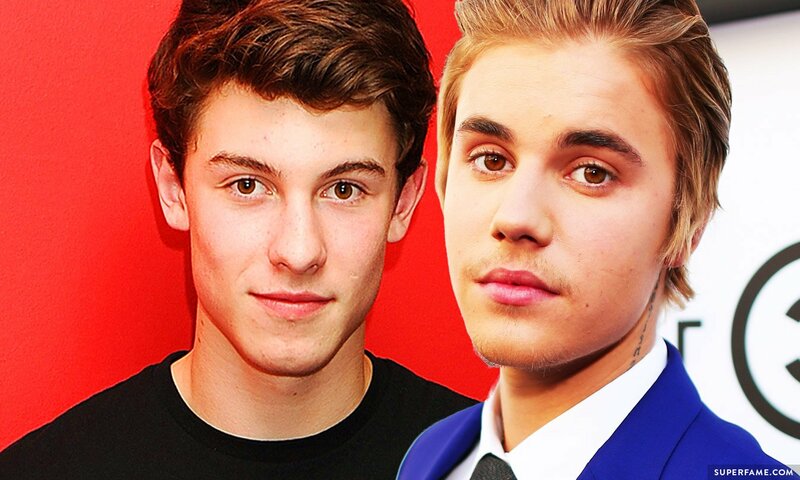 Justin Bieber followed Shawn on Twitter recently, so it was only a matter of time until something popped up. 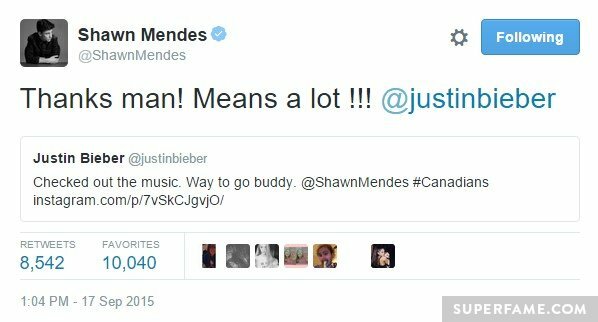 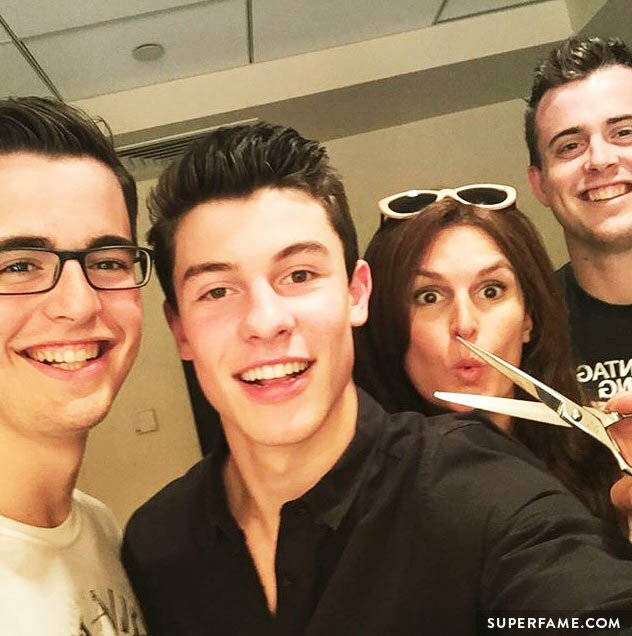 “Way to go, buddy!” he tweeted at Shawn. 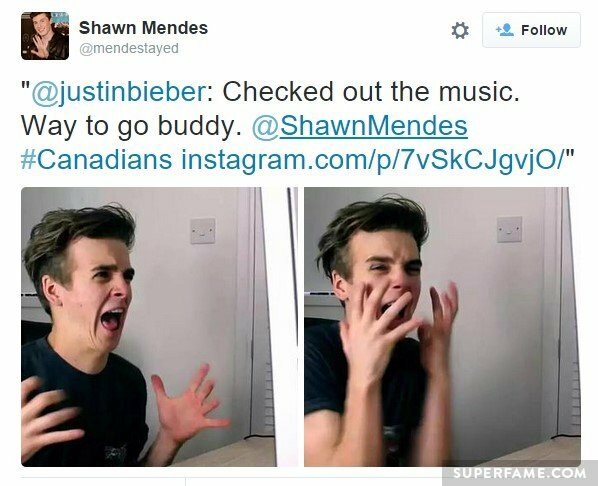 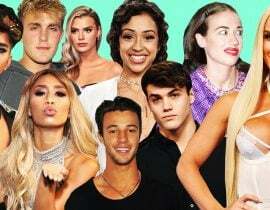 Many Justin fans joked that Scooter Braun was behind Justin’s new tweets. 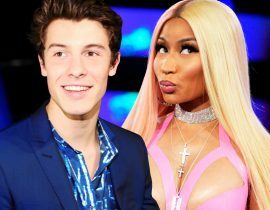 Many were itching for a collaboration. 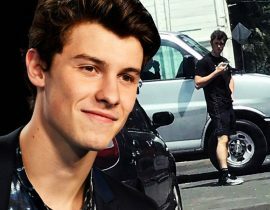 Some thanked the interviewer for stirring the pot in the first place. 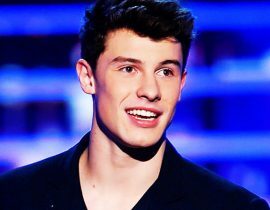 “Who’s Shawn Mendes?” some fans joked.